Fastbind machines are developed and manufactured in Finland by Maping Co, a family-run business that has grown from a small workshop into a leading company of the finishing sector in digital printing environment. Market leaders of digital printing, like Xerox, Fuji and Océ, have chosen Fastbind as their partner. Today, Fastbind products are distributed through company owned sales offices and certified dealers in more than 90 countries all over the world. To be the leader in our field and to provide our worldwide customers with best binding machines for small and medium quantities, first of all orientated towards digital printing. We treat our customers, employees, and business partners with respect, honesty, openness, tolerance and trust. Continuous product improvement and innovations. Maping Co is organized around a small nuclear team, working together with a committed and successful partner network around the world. The core of our values is building long-term profitable relationships, based on the win-win principle. As the inventors and designers of revolutionary Fastbind finishing equipment, we dedicate our resources on product development, machine composition and marketing. Local sales, service and distribution is taken care of by our partners. Maping relies on their long term specialized suppliers to manufacture the extremely precise parts needed in Fastbind equipments and supplies. Some of our suppliers have followed our journey to success since the very beginning of our company. Many years of close team work have allowed us to know each other very well, making communication easier and problem solving faster. Maping has a strong network of dealers and distributors, spread in nearly one hundred countries, over the five continents. We offer them our binding and finishing expertise as well as a very strong selling and marketing support, including personalized brochures, mailing tips, web site assistance, Dealer Extranet, and many opportunities for commercial and technical training either in Finland or during exhibitions abroad. Most of our dealers are small independent companies, strongly committed to the success of both Fastbind and their customers. Traditionally, most of our dealers are working in the field of print finishing, but, since the introduction of the FotoMount series, companies specializing in the photographic sector are also approaching us. Maping collaborates with digital printer manufacturers. We have been partners with Xerox for over 10 years now. As a recommended finishing solution provider, we assist them in exhibitions and open houses or road–shows with machines and skilled personnel. Fastbind perfectly meet their customers’ need for comprehensive printing and finishing solutions. We also have partnership agreements with other large corporations such as Océ and Fuji. After the introduction of Fastbind FotoMount photobook solutions, we gained the interest of photographic corporations as well. The Kodak Company was long known for its wide range of photographic film products, but is now re-focusing on two major markets: digital photography and digital printing. Fastbind ideally complements their new printing solutions to photographers and matches their criteria of quality, speed and ease of use. For the same reasons, other experts such as Rauch, OKI or Noritsu have approached us. 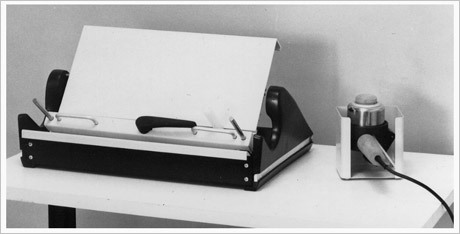 Originally Maping Co, manufacturer of the Fastbind brand, was producing table-top binding machines for offices and accountants. The first binders were designed to bind continuous listings. This experience with small machines binding loose sheets of unique documents gave Maping a natural push to embrace the new trends of the industry. The 30-year-old company managed the shift towards digital and introduced several groundbreaking innovations in the last few years. 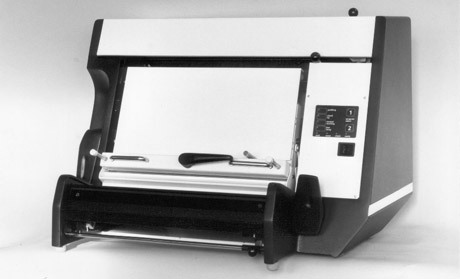 In the 1990’s Maping introduced new compact machines for the needs of increasing laser printing in offices and copyshops. Most of the now discontinued 90’s Handy™ and Micron™ models are still in use throughout Europe. Launched in Ipex 2002, and already labelled for the “on-demand” market, Fastbind Secura™ was the very first model of Fastbind new generation. It was compact, table-top, easy to use and to fit in any setting, from an industrial workshop to an accounting office, from a printing house to a copy shop counter. Secura positioned the brand for the upcoming models. After Secura, the Fastbind binding family grew with more and more sophisticated models: Fastbind Elite™ (now our top-seller) with the innovative twin roughener, Optima™, Ultra™ and the latest Elite XT™ for larger formats, up to A3+. Maping development team was too ambitious to comfortably just keep upgrading existing products. They continued on the innovation path. In Drupa 2000, Maping proudly introduced their first case maker, the H530™. It was improved over time and converted to the current, very successful Casematic™ product line. Casematic machines allow anybody to produce a customized fully printed hard cover in minutes: any design, almost any size and any format. The only limit is your imagination! What about photo books? That’s the latest innovation of the firm: the Fastbind FotoMount™ product line. The first prototypes of the product line were displayed in 2007 at Graph Expo in Chicago, met with a wide and amazed audience. The complete line allows photographers as well as printers to create premium photobooks using almost any kind of prints – including real photographic paper. They can choose among a variety of equipment to create a package that best fits their need. The latest solution is the FotoMount™ F32w workstation: an all-in-one solution. It consists of the Fastbind FotoMount F32 PhotoBook maker, Ideal 4305 guillotine, Fastbind C33 Creaser and an ergonomic rack. Industry feedback is overwhelmingly positive. Once again, Fastbind development team has sensed the market and anticipated its needs. Propelled by booming demand for photobooks, the FotoMount machines are marching forth to photo labs and retailers about as fast as the Helsinki-based manufacturer can produce them. Fastbind offers currently an affordable and profitable solution regardless of the type of book or photobook you need. At DRUPA 2008, Fastbind machines were featured in the booths of Xerox, Fuji and Kodak among others – eloquent testimony to their industry-wide compatibility and appeal.